My sister called and told me about this toddler activity, and it saved my sanity today. Bridger was throwing fit after fit as he was following me around the house while I was doing chores, because he wanted to get into things he shouldn’t. Finally, we came to the kitchen and I sat him up to do some “table time.” Basically, this is structured time sitting at the table with a task or activity. The task or activity should be one that is only done at “table time” so your toddler knows what to expect. Since we had never done this before, I got out two bowls, a measuring cup, and some dry beans. 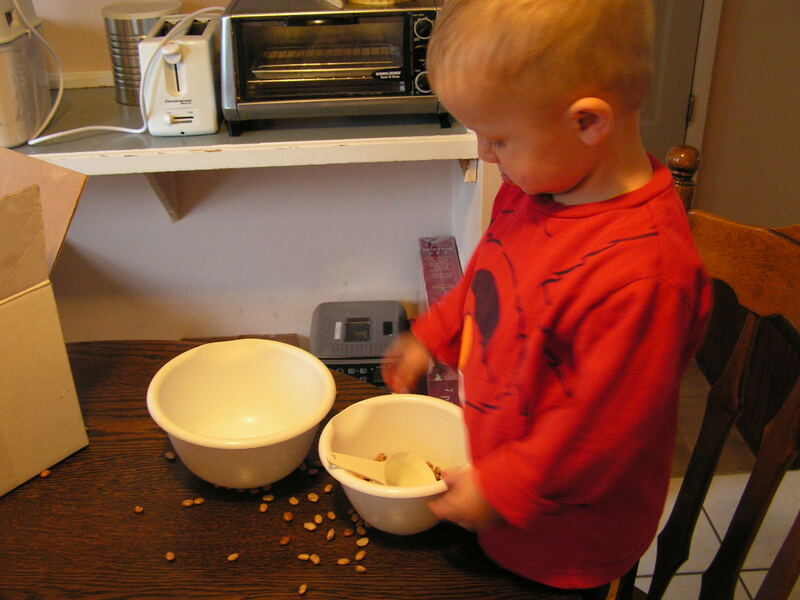 I showed him how to scoop the beans from one bowl to the other and then handed him the items. He had a blast for a good 20 minutes, which allowed me to compete some much needed tasks.